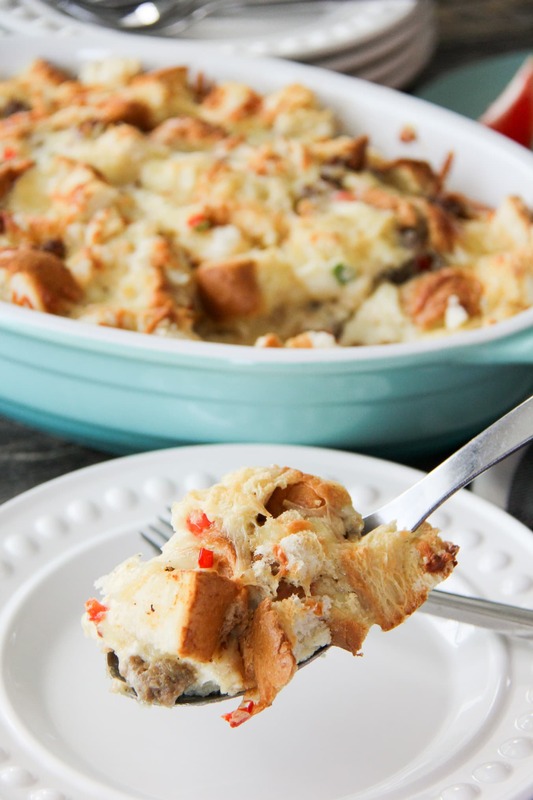 Make this Sausage and Egg Breakfast Casserole the night before, and pop it in the oven first thing in the morning. 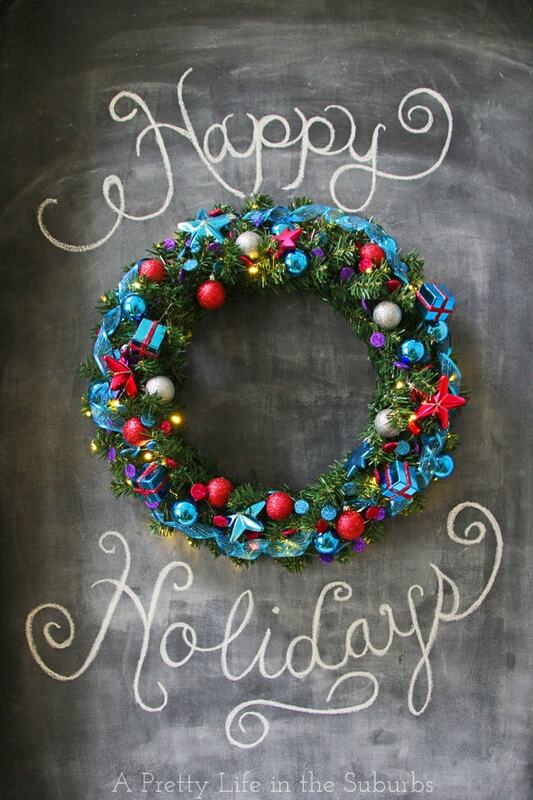 Perfect for the holidays! I’m so excited to have you visiting here today, because I think you’re going to find this post really helpful! 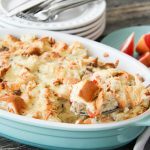 I’ve joined together with 13 Canadian bloggers to bring you some Christmas morning breakfast ideas! Isn’t that great?! I find Christmas morning meal planning challenging because there’s so much going on that day, and getting a big meal together is hard work. 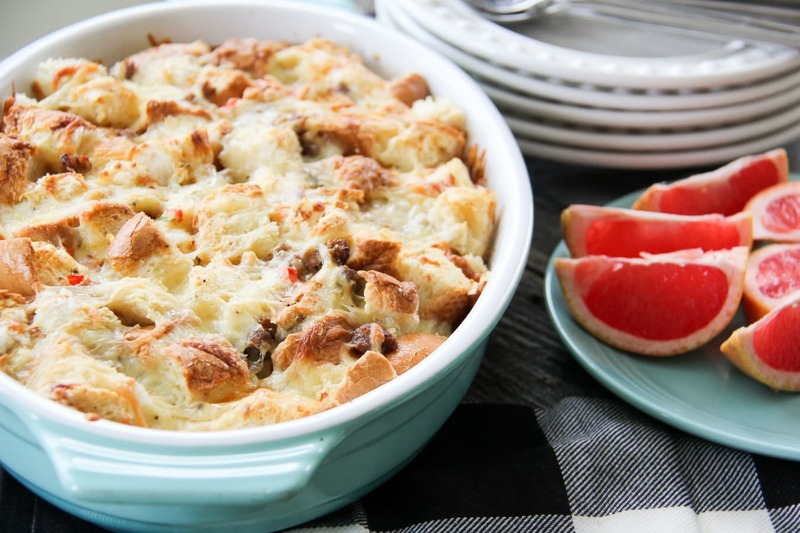 So much of Christmas meal planning goes into the dinners, and often breakfast gets overlooked. It can also be hard to find ideas that are easy to prepare. But fret not, you’re in the right place today…there are loads of recipe ideas for you here! Let’s get started! 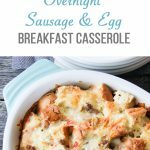 I’m sharing a simple and delicious recipe for an Overnight Sausage and Egg Breakfast Casserole. 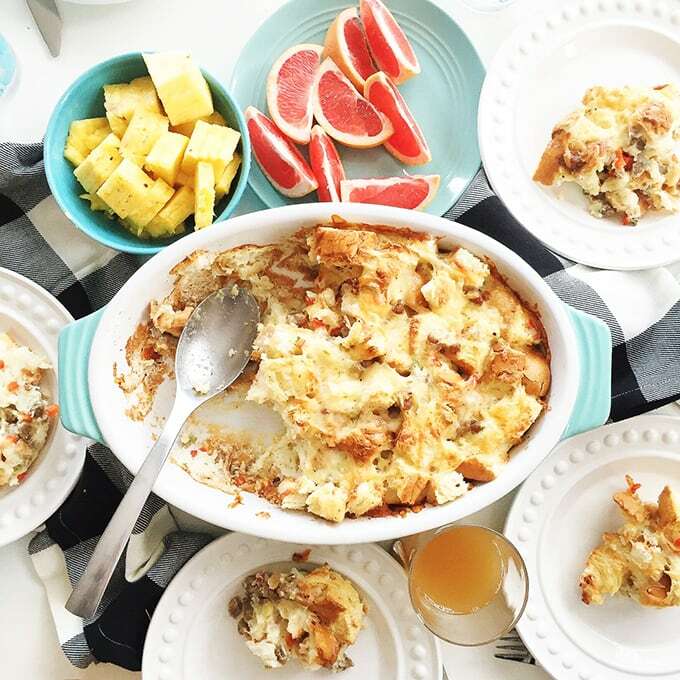 Besides being super delicious, the best thing about this brunch recipe is that you can prepare it the night before you plan to serve it. So all you have to do in the morning is pop it in the oven, then let it bake away while you open your presents. So great. The preparation is really simple too…all you need is about 15 minutes or so to get it all ready for the fridge overnight. Definitely time well spent before the big day! Then in the morning, put it in the oven, make some coffee then sit down with you family to open the presents…and you home will fill up with the smell of a delicious breakfast! 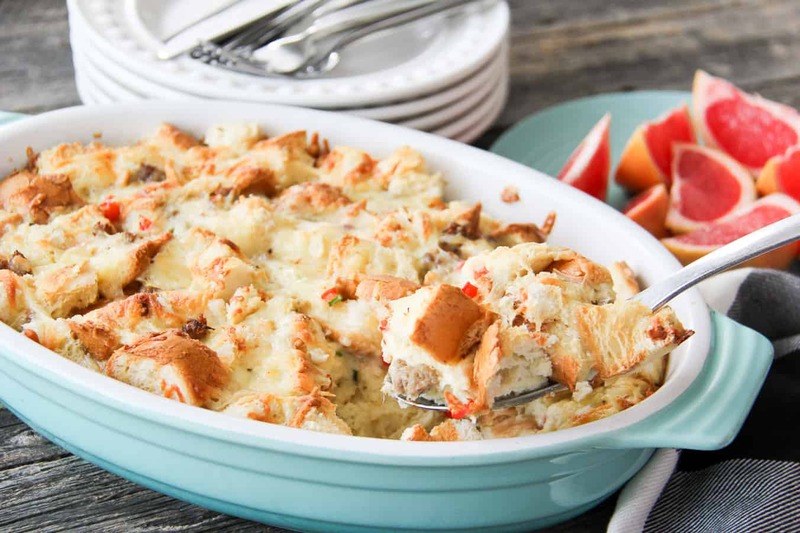 When it’s all done baking, the result is a delicious, rich and flavourful savoury breakfast. Which is perfect for Christmas morning with all the sugar that makes its way into the Christmas stockings! So good! 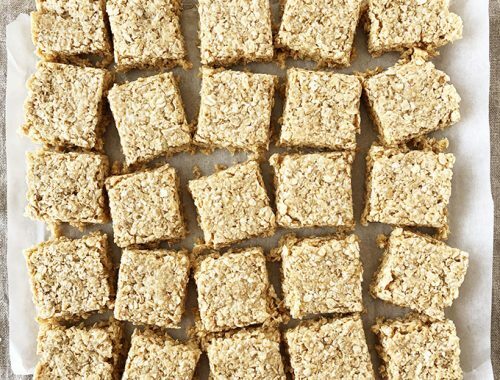 This recipe will easily feed 6 people. Serve it with an assortment fresh fruit. Grease a 9×13 inch glass baking dish. Add the cubes of french bread to the baking dish. Set aside. In a skillet, cook the onion and sausage until the sausage is cooked through. Drain and set aside. In a bowl whisk together the eggs, milk, dry mustard, salt and pepper. Stir in the red pepper and half of the shredded cheese. 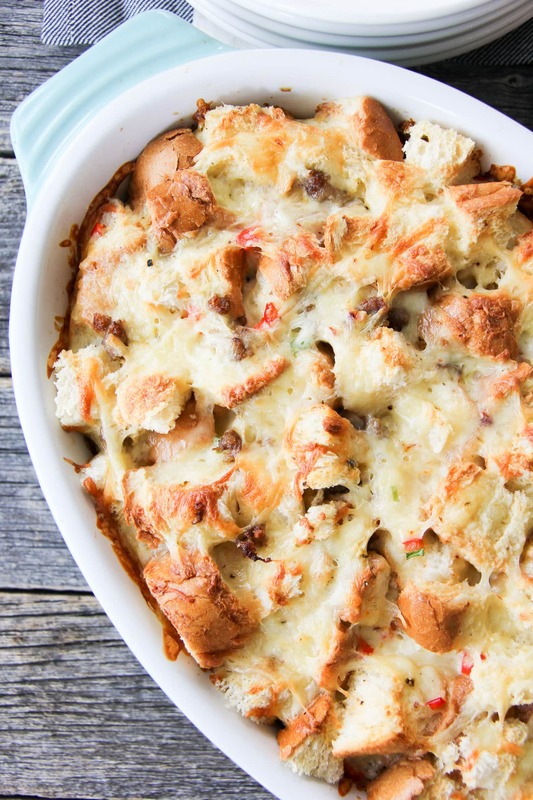 Sprinkle the cooked and crumbled sausage over the bread, and mix slightly. Pour on the egg mixture. Cover in tin foil and put in the fridge overnight. In the morning, preheat your oven to 350 degrees. Bake uncovered for about 1 hour, or until the centre is set. 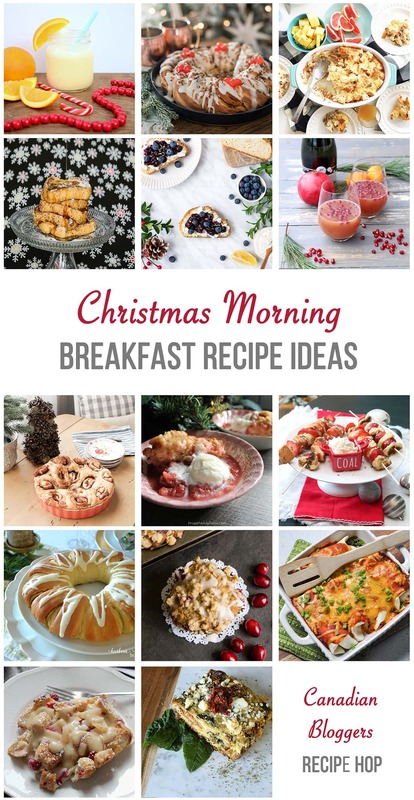 For more Christmas morning recipes, make sure you check out the delicious recipes below! There are so many great ideas here for the best brunch ever. 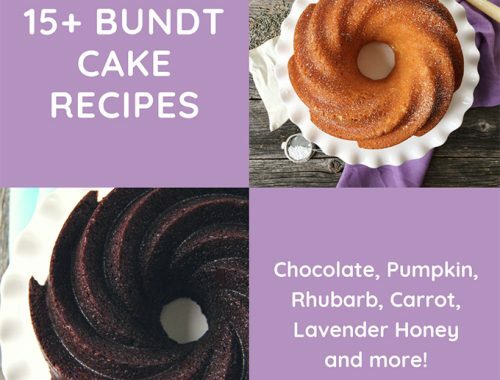 15+ Bundt Cake Recipes to Try! Yes! 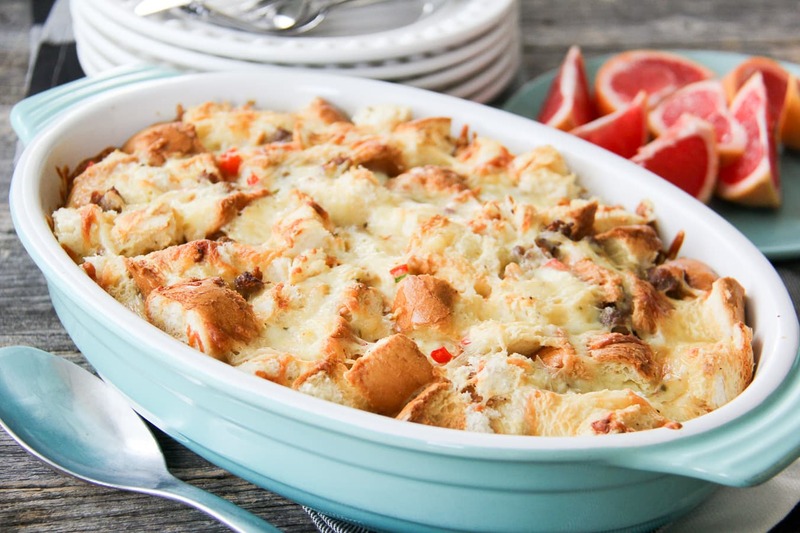 Make-ahead breakfast recipes are so smart!! Especially for Christmas morning! 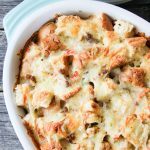 This looks and sounds so yummy, I think that I’m definitely going to have to whip this recipe up too! Thank you Sarah! I think you’ll love it! This looks amazing, Jo-Anna! I love anything that can be made in advance! This looks and sounds absolutely delicious Jo-Anna! And perfect make-ahead! Brilliant! Thanks for organizing this hop!! 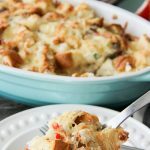 This looks delicious and reminds me of something my husbands dad made for their Christmas breakfast for many years- they called it “wife saver.” This recipe sounds so tasty with the breakfast sausage! I will definitely be saving this one.